Eddy Bongwele is an Agricultural engineer specialized in remote sensing applied in natural resource management with more than 10 year experience. 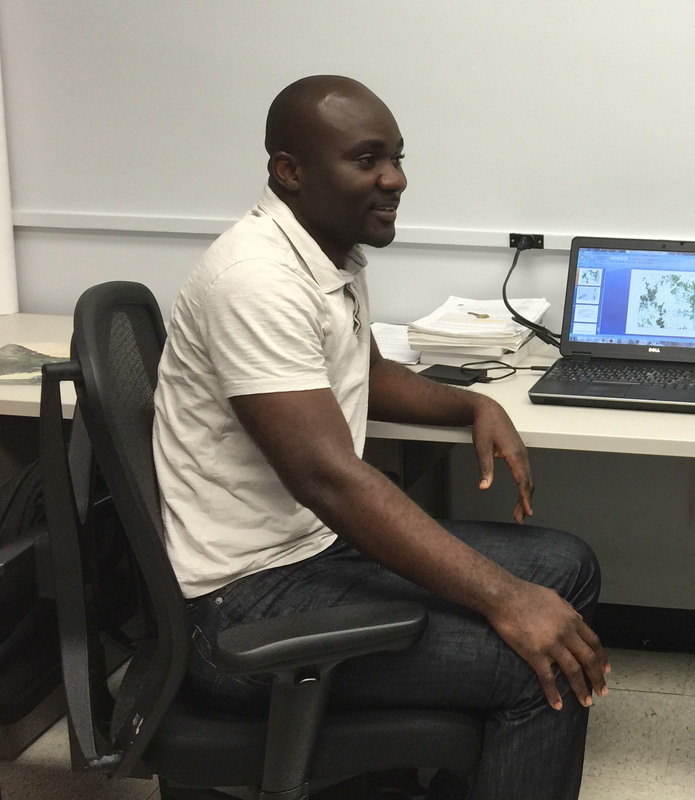 He has worked at OSFAC as a senior remote sensing officer and has been involved with the forest monitoring program of Central African Regional Program for the Environment (CARPE) using time-series multi-spectral Landsat. Eddy has also worked as remote sensing officer in the World Wildlife Fund (WWF) project "Carbon Map and Model" for quantifying and mapping forest biomass using Lidar data, optical and radar imagery, and field measurements. Eddy Bongwele was a visiting scholar at Cornell University in 2011 under the State Department program: Hubert Humphrey fellowship where he studied environmental policy, natural resources, climate change, and remote sensing. Fuller, T.L., Narins, T.P., Nackoney, J., Bonebrake, T.C., Clee, P.S., Morgan, K., Tróchez, A., Meñe, D.B., Bongwele, E., Njabo, K.Y., Anthony, N.M., Gonder, M.K., Kahn, M., Allen, W.R., Smith, T.B. (2018) Assessing the impact of China’s timber industry on Congo Basin land use change. Area. DOI:10.1111/area.12469.